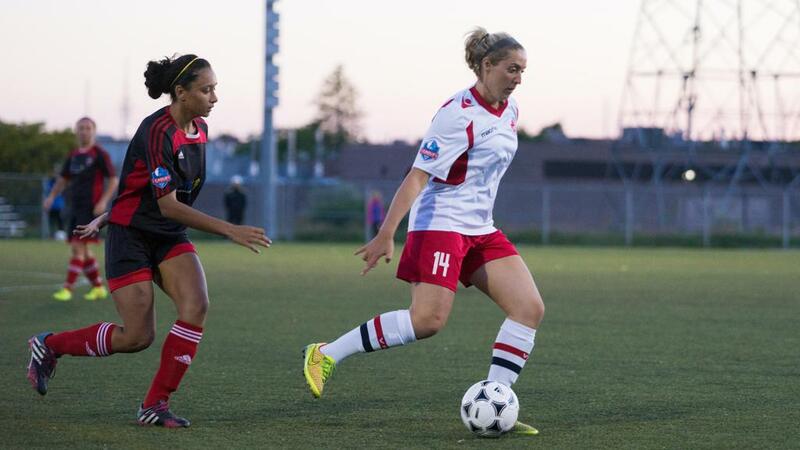 In Part II of our Best Of 2017 series we look at the contributions League1 Ontario current and past players made at the women's Canadian university and college levels this season. Montreal Carabins earned their first ever gold medal at the USports Women's Soccer Final, defeating Cape Breton University (CBU) with a final score of 1-0. 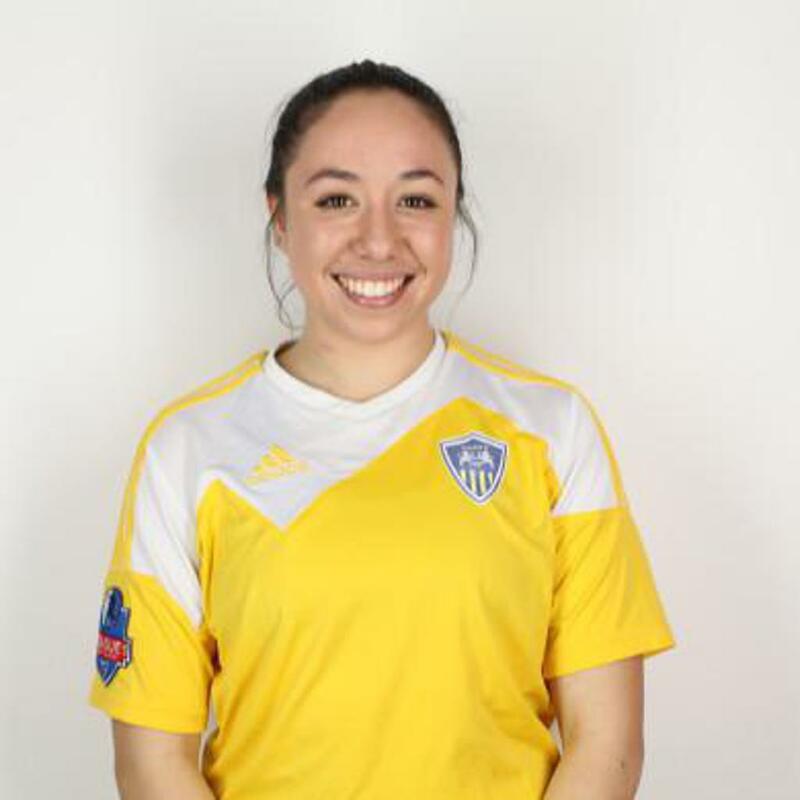 A regular in the League1 Ontario All-Star teams, CBU's Tamara Brown (Durham United FA) was chosen as the CBU Player of the Game for the final match. Brown's contributions over the season also earned her a selection to the USports First Team All-Canadian list, an honour she shared with another League1 player - Nicole Lyon (Laurier/ Vaughan). 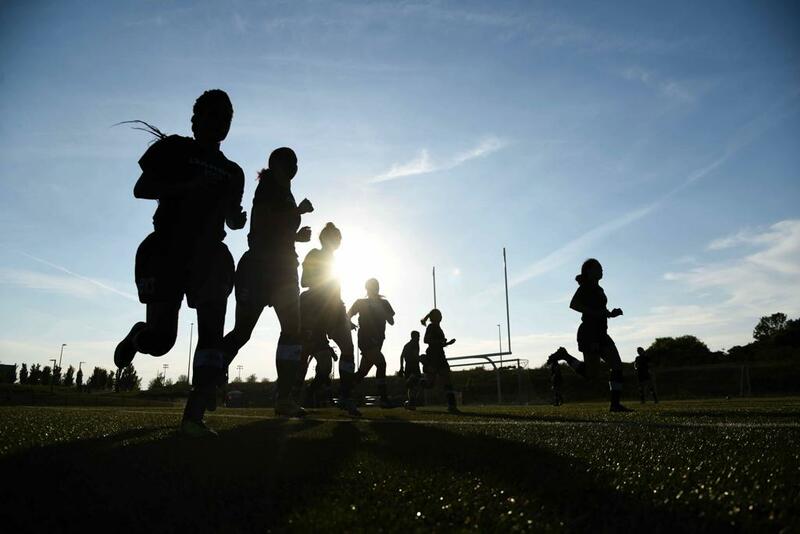 Three League1 players were also selected to the USports Second Team All-Canadian list, with Katherine Koehler-Grassau (UOIT/ Aurora), Taijah Henderson (UOIT/ Unionville) and Keona Simmonds (CBU/ Durham United FA) excelling at the highest post-secondary level in Canada. Simmonds also made an impact in the individual statistics category over the season, coming in third in the country for goals (12) and fifth overall for points (16). Jenny Wolever (Queens/ North Mississauga) also had an excellent year following her summer with North Mississauga in League1, finishing the USports season joint-first for assists (9) in Canada and second for points (19). 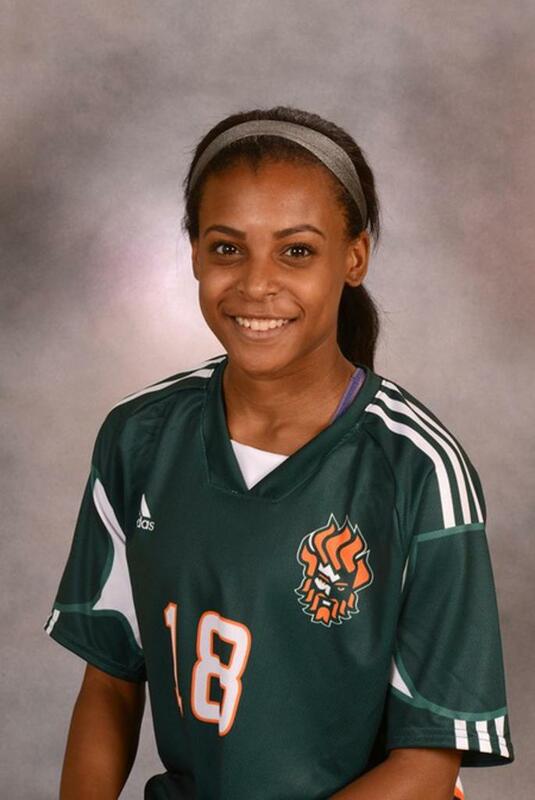 In Ontario university circles, League1 players earned a number of awards. The OUA MVP (West) was Vaughan Azzurri's Nicole Lyon (Laurier/ Vaughan), while no less than 14 players were selected to the Provincial All-Star lists. First Team All-Stars (East) were Katherine Koehler-Grassau (UOIT/ Aurora), Cooper Lee (UofO/ Sanjaxx), Lidia Bradau (Queens/ North Mississauga SC), Nicole Zajac (UOIT/ Unionville), Miranda Smith (University of Ottawa/ West Ottawa SC) and Taijah Henderson (UOIT/ Unionville). The OUA Second Team All-Stars (East) were Alexis Kirton (UOIT/ Unionville 2017, Aurora 2016), Emily Copeland (Carleton/ West Ottawa SC), Catherine Rocca (Laurentian/ Woodbridge Strikers) and Jenny Wolever (Queens/ North Mississauga SC). OUA First Team All-Stars (West) were Tomika McIntosh (York/ Vaughan), Maxine Murchie (Laurier/ Vaughan) and Nicole Lyon (Laurier/ Vaughan), while Christina Morelli (York/ Vaughan) earned an OUA Second Team All-Star. On the college circuit, Quebec's Elans De Garneau continued their dominance after securing a fourth consecutive title, but within province League1 Ontario players made a mark. Claudia Piazza (Humber/ Vaughan) and Chelsea Zavitz (Fanshawe/ FC London) were OCAA Championship All-Stars, while eight players received end of season distinction as regional all-stars. 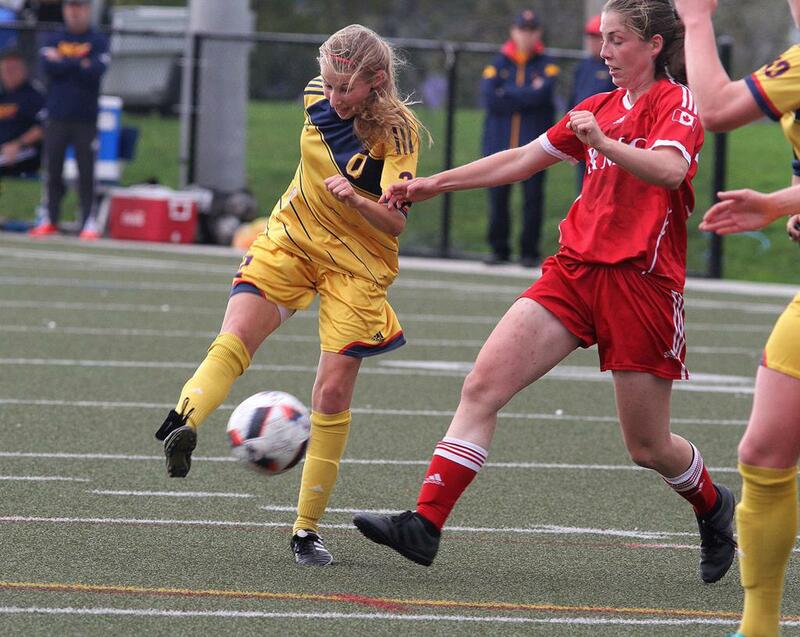 Mallory McQueen (Algonquin/ West Ottawa SC) and Megan Edwards (St. Lawrence-Kingston/ Kingston Clippers) stood out as OCAA East All-Stars, while Vanessa Fiore (Humber/ North Mississauga SC), Claudia Piazza (Humber/ Vaughan) and Giulia Zanardi (Humber/ ANB Futbol 2015) were selected to the OCAA Central team. In the OCAA West conference, Alexis Clements (Fanshawe/ FC London), Selena Roberts (Fanshawe/ FC London) and Chelsea Zavitz (Fanshawe/ FC London) all made the end-of-season all-star list.